Current transformer rated frequency is 50 Hz, current ratio optional 500/5A, 1000/5A, 1500/5A to 2500/5A, comfortable price and high quality. Tips: How to select a current transformer? Rated primary voltage of the current transformer shall be in consistent with the rated voltage of the system. Rated primary current of the current transformer shall be 20%~120% of its normal load current. Secondary loads of the current transformer, such as instruments and relay, consume a power or impedance less than rated capacity corresponding to the selected class of accuracy, otherwise the class of accuracy will reduce. A proper class of accuracy shall be selected for the current transformer according to the requirements of measurement and protection. 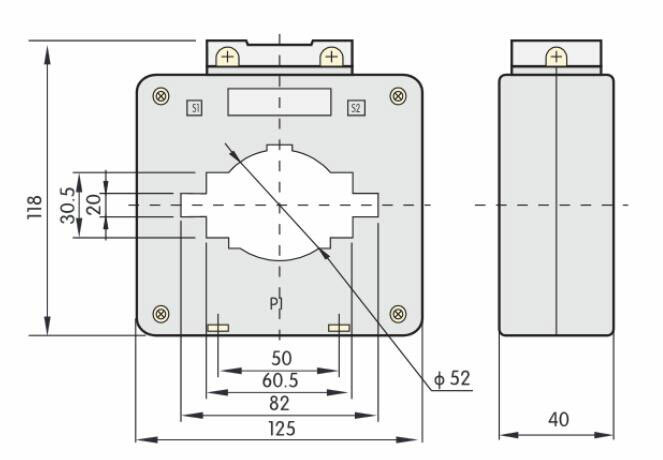 Quantity of the current transformer can be determined by the power supply mode and wire connection method. Dynamic and thermal stability of the current transformer can be verified according to the system short circuit capacity of the position where the current transformer is installed. It's easy to install, small and very good to solve our problems. Super cheap current transformer.